Master Bond EP30TC is a multifaceted epoxy for use in thermal management applications. It is a specialty formulation that can be used for bonding, coating, sealing and encapsulation. When used as an adhesive, the thermally conductive filler has very fine particle sizes; subsequently, it can be applied in sections as thin as 5-15 microns. Since it has a lower viscosity and excellent flow properties, it is a good fit for coating and potting. EP30TC has a forgiving ten to one mix ratio by weight. It will cure in 2-3 days at room temperature or in 2-3 hours at 150-200°F. To optimize properties, the recommended cure schedule is overnight at room temperature followed by 2-3 hours at 150-200°F. EP30TC bonds well to a variety of substrates including metals, composites, ceramics, glass and many plastics. As mentioned previously, it has a specialty type filler that allows it to be applied in very thin sections. 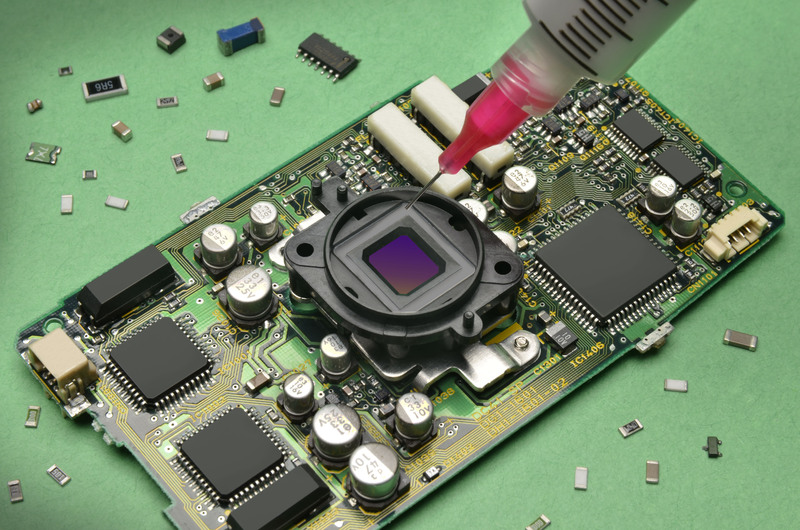 When this property is combined with its inherent high thermal conductivity, the net result is significantly lower thermal resistance, 7-10 x 10-6 K•m2/W; much less than standard thermally conductive epoxies. Some other desirable features of this system include outstanding electrical insulation, very low shrinkage upon curing as well as superior dimensional stability. Its coefficient of thermal expansion is also very low. The service temperature range is -100°F to +300°F. The color of Part A is gray and Part B is clear. This sophisticated system can be used in applications in aerospace, electronic, optical and OEM where the property profile described above is desirable. EP30TC is available is various sizes and units to accommodate customer's needs.